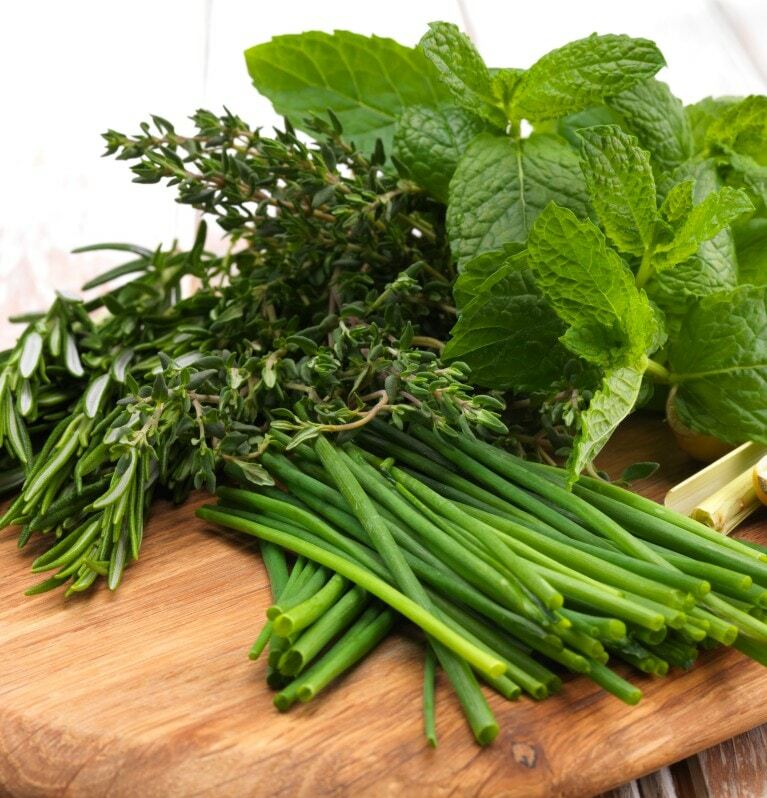 Ever wondered what ingredients go into our Alfredo with Garlic and Herbs? Here we explain what goes into our pack. We expertly blend our pasta with real cheese, herbs, garlic, and more. All of our ingredients work together to deliver the flavour you love. Made from Australian Premium Hard Wheat (called Golden wheat) from the vast golden fields of Victoria and NSW. We use Italian methods to make the pasta. In a large mixing bowl, water is added and mixed. The dough is then kneaded and cut to ideal length. The pasta gets its particular spiral shape by using an authentic Italian die: it’s called rotini. We then dry the pasta for several hours. We start off with real blocks of ripened Cheddar cheese mixed with water and several other ingredients, then heated. We then sprinkle it dry into a fine cheese powder that retains all the flavour of the cheese and dissolves easily into your sauce to infuse your dish with that rich creamy taste. Our garlic is grown in the wide and sunny fields of California, USA. After harvesting, we ‘crack’ the fresh garlic and separate the cloves. They are then rinsed, sliced and slowly dried in ovens for up to 10 hours. Just imagine the wonderful aromas. The raw garlic is then ground into a fine and strongly flavoured powder. We use fresh leaves from the oregano plant (Oregano vulgare) that are 100% sustainably grown in open fields. under the warm Mediterranean sun. The typical, robust oregano flavour comes from the small droplets of oil that the plant develops on its leaves. Because we sun dry the freshly harvested leaves for about 3 days, these flavourful oils are preserved. We use the Petroselinum crispum variety, also known as continental or flat-­‐leaf parsley. Our chefs prefer this one over its curly family member because it has a stronger flavour. And we only use the soft leaf part of the plant, not the stems. These leaves are freshly harvested several times a year. We start the drying process immediately to preserve the flavour. Using only warmth, it takes about 2 hours for the parsley to turn into our wonderful crisp ingredient. We do not use any artificial flavours in our Pasta & Sauce or Seasoned Rice range. We use only natural flavours containing concentrated extracts or oils, derived from real ingredients. By using these flavours, we can perfect the taste profile of our products and ensure that the product quality and taste is maintained throughout the year. Take our pepper extract for instance: a blend of essential oils from East Indian Pepper and salt. To complement the garlic in the Alfredo with Garlic and Herbs, we also use a natural roasted garlic flavour from garlic juice. Our chefs just love that pan roasted garlic taste that increases the depth of flavour in the dish. These salts complement the savouriness of the dish and help to improve the appearance of the sauce by ensuring it doesn’t separate. Carotene –extracted and purified from the fruit of the oil palm. It’s used to add a yellow colour to the sauces. For binding the recipe we use corn starch, milled from white corn. It is often found in kitchen pantries as just corn flour. Our chefs prefer to use starch over flour because it gives a clearer, less cloudy result. We use a blend of Canadian grown Yellow and Oriental Mustard seeds, the hull largely removed, and ground, preserving the flavourful oils. The product is naturally untreated. Maltodextrin is an easily digestible carbohydrate made from corn. It's derived from slowly cooked starch and helps disperse the fine flavours of Alfredo with Garlic and Herbs more uniformly throughout your dish. We finish the recipe with a pinch of sugar. It’s that final note of sweetness that perfects the balance of flavours in our Alfredo with Garlic and Herbs. Our sugar is Australian, naturally.